John Deere Z525E Z Trak riding mower for residential lawns only not field grass. Maximum cutting height is 12" with side discharge. 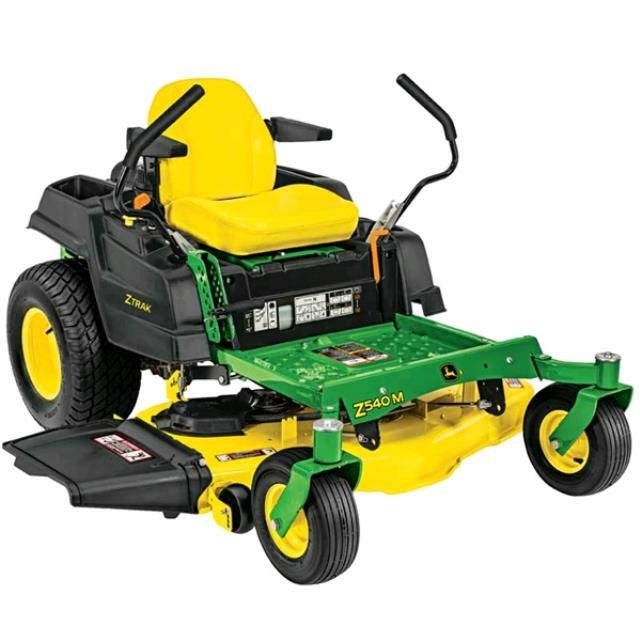 MOWER DECK: 48" WIDE OVERALL WIDTH: 56" Length 76.7" Height 39.4"
* Please call us for any questions on our lawn mower riding z trak 48 inch jd rentals in Portland OR, Gresham OR, Milwaukee OR, and surrounding metro area.